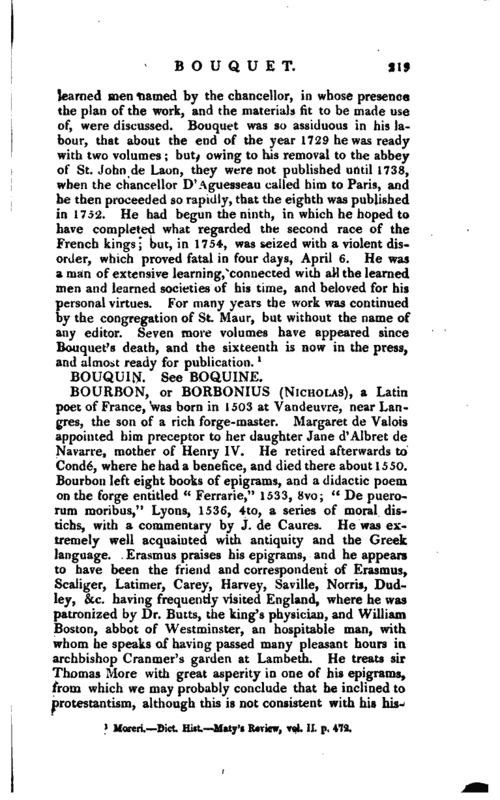 , an eminent French historian and antiquary, was a Benedictine of the congregation of St. Maur, and born at Amiens, Aug. 6, 1685. After finishing his course of philosophy and divinity, he studied the learned languages with great success, and his superiors observing his decided taste for literature, made him librarian of St. Germain- des-prez. He afterwards assisted the celebrated Montfaucon in some of his works, and undertook himself an edition of Josephus. When, however, he had made considerable progress in this, he understood that a man of learning in Holland was employed on a similar design, and therefore, with a liberality not very common, sent to him all the collections he had formed for the work. 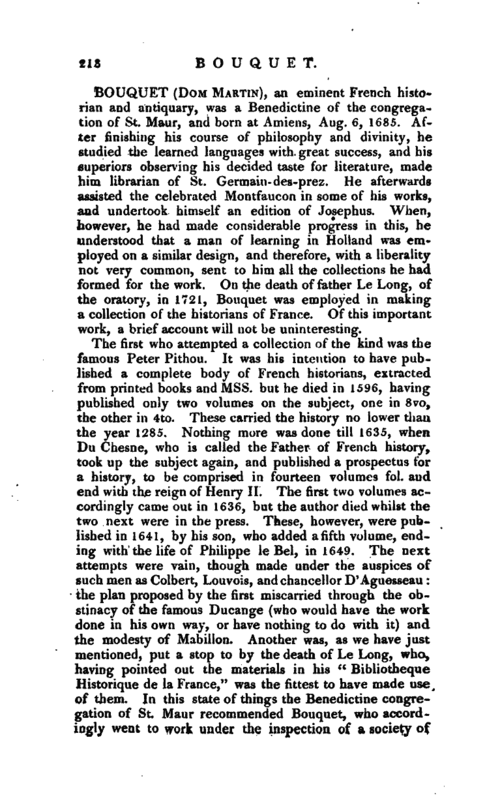 On the death of father Le Long, of the oratory, in 1721, Bouquet was employed in making a collection of the historians of France. Of this important work, a brief account will not be uninteresting.